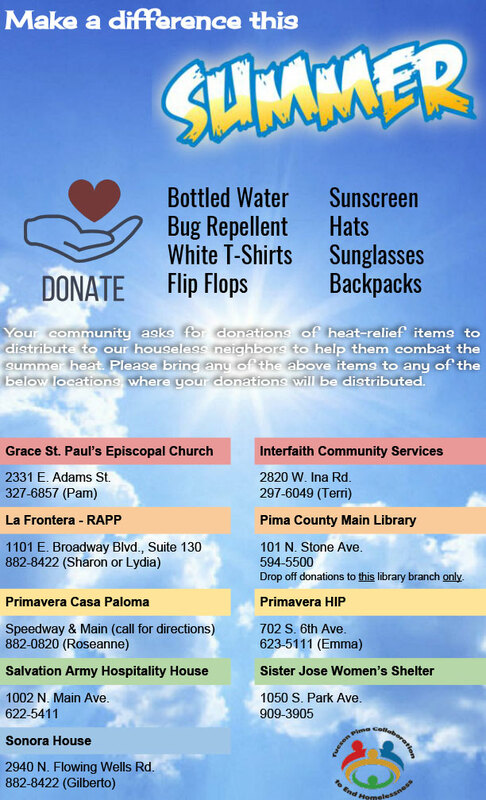 Post the flyer to encourage donations for Summer Sun sites. Download a PDF version of this flyer. Find summer sun respite sites here.